In today’s hot seller’s market, you might think that you can get away with doing the minimum to help your listing clients sell their home. Taking this approach can backfire, and in any case, a great agent always does their best to advocate for their client. Here are the five best ways to help your listing clients navigate a hot market. Properly pricing the home is your priority, no matter what the market is doing. Remember that just using price per square foot is too much of a simplification for most properties. Your understanding of the surrounding area and market, as well as comparable sales, is what will help you not just tell a client what they want to hear. In a hot market, people still have a sense when a home is priced too highly, and if a potential buyer does concede on price, you and your client could have to concede on non-price issues like the closing date or financial constraints. Plan with your seller for how they will consider multiple offers. With a desirable property, your seller will probably receive several offers at once, and having a plan in place will take the stress off. You should discuss counteroffer types and negotiation strategies ahead of time so that the seller does not get swept away by their emotions or manipulated by a savvy buyer. In fact, the actual approach chosen by the seller is not the point. 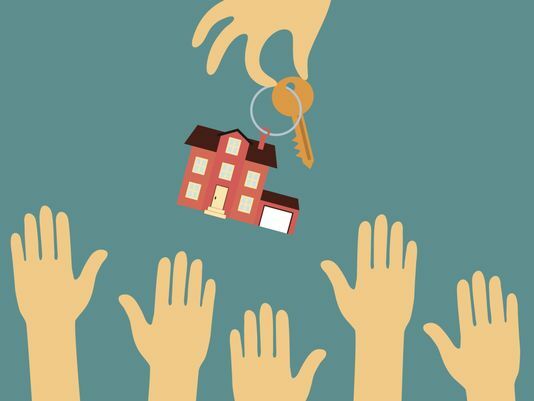 The point is that the seller makes a well-considered decision, whether it’s selecting a single offer and working with that offer until its conclusion, asking for “highest and best” offers, or how to handle a possible bidding war. Don’t make the mistake of thinking you can sell a home “as is” in a hot market. Curb appeal still counts, and even if the house itself is perfect, if the initial appearance is lacking, the offers won’t be as good as they could be. Take care of the front door’s appearance, the street-facing gutters, and the landscaping out front. Regarding the home itself, a hot market is helpful for homes that might be considered out-of-date or in need of repair, but it’s still important to stage the home as if it’s going to be difficult to sell. This increases the appeal of the home and makes buyers want to move aggressively to secure it. Attend and facilitate the home appraisal, so that it doesn’t come up short. In a particularly hot market, buyers will offer more than asking price, but if the appraisal comes in low, they might walk away instead of offering to increase their down payment or have to go to their lender to change their financing. Point out to your clients that they need to think about their next home now. Your client might sell their house faster than expected, turning them into a buyer who’s fighting a seller’s market. A particularly well-prepared seller might already have their new home in-hand before listing their current house, but this isn’t always possible. Having a backup plan, such as looking into rental properties, is always smart, so that your seller doesn’t rush into a bad purchase out of desperation. A lease-back might be possible, but in this hot seller’s market, it’s smart to investigate any concessions a buyer might make in order to close. All of these tips will help you make the selling process smoother for your clients. Do you have any other pointers for helping your listing clients in a hot market?